Great Falls Assisted Living provides a lovely environment indoors and out. The four neighborhoods offer a family setting. The residents and visitors can co-mingle. They can become friends with each other. The two private gardens are an oasis. Families and friends can visit with each other. The outdoor area offers walkways around three sides of the building with sitting areas. The landscaping is attractive as well.My husband has loved these areas. He told me that I found him a really nice place. The majority of the staff is very loving and caring. Most the staff is open to suggestions and accepting of criticism. 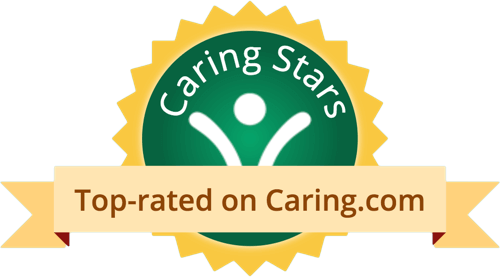 GFAL is an excellent, high quality memory care facility with a dedicated professional staff. My father lived there for over five years and was very well cared for every day. I would highly recommend Great Falls for your loved one suffering from dementia. My friend had lived here for over 5 years and all I can say is this is the place I would recommend to my family and friends. The staff is so caring and the place just makes you feel at home. Everyone is family to them! My wife is in Great Falls Assisted Living right now. It is OK. She has been there for about a year and three months. They have OK amenities and activities, which depend on the interests of the person. The dining area is a little too crowded. It is hard to sit everybody and move around, and if a relative wants to eat, it is hard to accommodate. It is too small, so maybe they can extend their dining room. I thought they were very caring at Great Falls. I loved them. I thought the food was very good. Sanitation was excellent. Dad is at Great Falls Assisted Living. It is a small facility of about 60 beds. He has been there since the end of February, and we absolutely love it. What we were looking for is a safe and happy place for him. This place was all on one floor, and it looked like a house, but their rooms are too small. Each one of these things had their own dining room and kitchen. They also have an area where they could walk in anytime they really wanted. They have nursing 24/7, and all of the people are fabulous. There are four neighborhoods off of the main circle where they go for activities every day. They also have activities starting after breakfast and lasting until bedtime. Everybody from the director down to the maintenance guy are all trained with handling dementia patients. We are very pleased with it. They charged an awful lot, and when my mother began to lose the ability to feed herself, they told me I needed to hire a private care person. She can be a fall risk, and I would just see my mother in the dining room sitting in an empty table with nothing in front of her. Some of them were very nice, but others just seemed just to be waiting for their shift to be over. They also did not have a good accounting system for how many of the things we used. They charged me $7 for a pack of wipes or Depends. It was just not very well organized. Also, my mother usually likes coffee in the morning, and the director said they always have coffee, but I've never seen coffee, and they never gave her coffee until I asked. They've got a private pay doctor because I didn't know other doctors came there for free. I was paying a lot of money and just didn't feel like I was getting the best service. I wouldn't recommend Great Falls. With staff, there was a lot of turnover. They claim to specialize in people with memory care, but my goodness, I'm not feeling it all there. It was so sad there. They also had problems with flooding. They are under new management now, so I think they're getting better, and the activities are better. They changed the nursing, and they changed the director, so maybe they're making some needed changes. Great Falls had a good Alzheimer's program. The staff is friendly. They care about the patients and want to make sure they get the best treatment possible. I have seen 2 activity rooms. One has a television, lots of chairs, and they do sing-alongs. The other one has tables and chairs. It's convenient. It's between my brother's house and my house. My father is there, and he likes it. There is a mall. They have outings, and they publish the calendar each month. They went to botanical gardens. They've had a mobile dental guy come. I believe the fire station is next door. My only complaint is that they don't have staff on the weekends. Great Falls Assisted Living is a senior living provider in Herndon, Virginia that offers residents Assisted Living. Contact Great Falls Assisted Living for more details on services and rates. 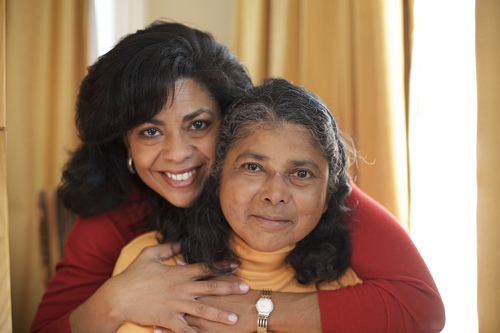 What should caregivers and potential residents know about Great Falls Assisted Living?